To all volunteers within Girlguiding Kincardine & Deeside. With just a few weeks of this term left an update on the Sheiling project seems appropriate! 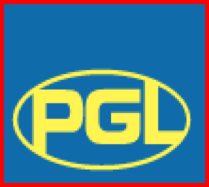 In just 4 weeks’ time “Celebration” will be the weekend theme for Girlguiding K&D. 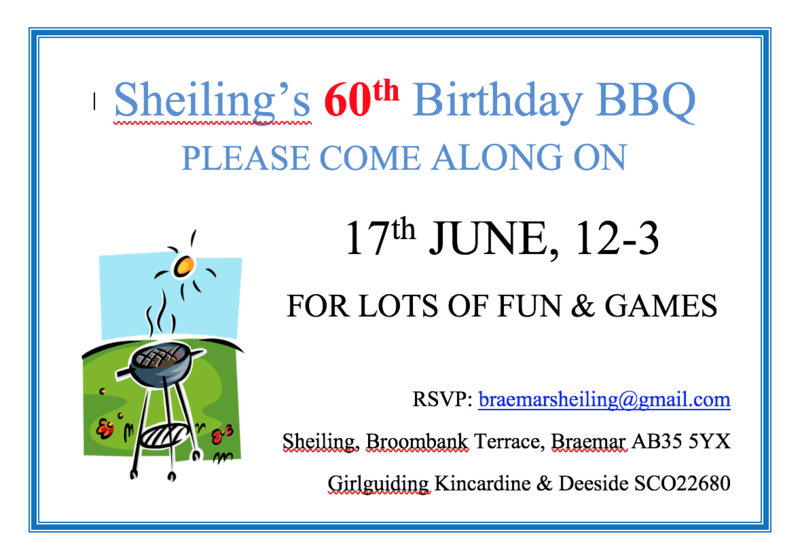 Mearns District celebrate their centenary while we will be celebrating the Sheiling’s 60th Birthday with a BBQ. 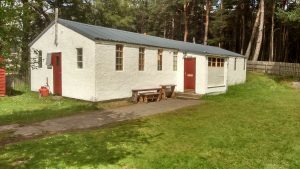 How about coming up to Braemar for a Day Out to celebrate Fathers’ Day? Along with the BBQ there will be games like Coconut Shy and Splat the Rat so do come and let the family try its luck! So how’s your fund-raising going? We hope that you and your girls are brim full of ideas on how to “grow that £5”! Please share your efforts on GGK&D’s Facebook or website and with us. It’s extremely important for us to have a finger on the fund-raising pulse as frequently we are asked how much money we have raised and what the target from within the County is. We are aiming for K&D to raise at least 25% of the total costs. Without knowing what your units may already have raised we expect to have £40,200 at the end of June. 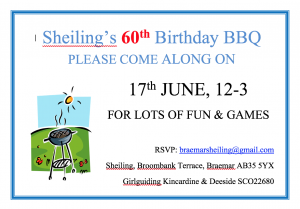 This has come from the County, donations, some of which are Gift Aided, funds raised at the Open Weekend and also Friends of Braemar Sheiling memberships. You may remember that we suggested that some of your £5 proceeds could be paid to us at the end of June. Obviously you still want to have revenue to fund your next fund-raising venture so we’ll leave it to you to decide. So what stage are we at? With the architect we are still in the Pre-Application process, several surveys have now been carried out so we hope to be able to submit the Planning Application very soon. Last weekend Sue & I took the opportunity, while at Friends of Netherurd Day, to get the Netherurd Manager’s opinion of the design. The Garden House there has 2 wings each of a size comparable to our draft & Janice has been extremely helpful with tips that during the project will be invaluable. As far as large outside funding is concerned we have been turned down by the Big Lottery as they only support buildings that are open 24/7 to the local community. We are waiting for feedback from LEADER funding but as that dries up with Brexit it’s unlikely that we will manage to meet their timescales. Without Planning Consent we are restricted in applying to some sources of funds so in the meantime we are exploring other avenues. Quite a number of small funders require that their grant is used within 12 months so applications to them will come once the build has begun. If you have contacts out there in companies who dispense funds to charity please let us know! Last, but by no means least, a BIG thank you to those of you who took the time to complete the online survey sent out in February. We were very heartened by the support from you all; we have always accepted that for most Rainbow units in K&D the Sheiling is too far to contemplate using. However, 82% of you said that you would use the new Sheiling – that is a fantastic response – Thank You! We’d love to welcome you to the Sheiling and the BBQ!